Forensic collection form for UAVs/drones. Proper forensic analysis of anything starts with proper forensic collection of whatever it is that needs to be analyzed. UAVs are no different. As noted in an earlier post, there are a lot of components in a UAV system – radio controller, ground station, data/video link, and of course the aircraft itself. We developed a UAS Acquisition Form to assist law enforcement and other interested parties in the collection process. So there I was, holding a dd image of a JFFS2 filesystem dumped from a drone. Great, good to go! Let’s start our analysis! Not so fast, mounting one of these things is non-trivial. After much trial and error, and some Google-fu, I got the following to work in the SIFT3 forensics VM (Ubuntu). Note: The ‘-r’ was critical and none of the Google hits I found on this topic included it. This option “recalc name and data crc on endian conversion”. Drones (properly known as small unmanned aerial systems – sUAS) are all the rage. The market is roughly $600 million this year and is expected to be $5 billion by 2021. 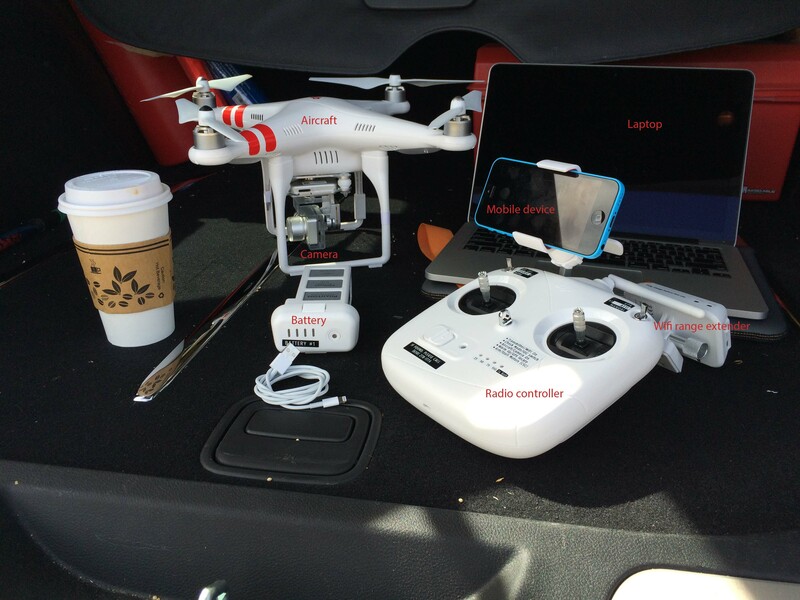 Drones will touch many aspects of your life, overtly and behind the scenes. They are already used commercially for mapping, precision agriculture, film making, and damage assessment. Illegal uses range from commercial services in violation of FAA regulations to surveillance and drug smuggling. And the hobby community is booming with drones as one of the hottest Christmas presents of the season. With all of these drones in the air, the forensic analysis of drones is already important and making headlines. Who didn’t hear about the one that crashed on the White House lawn? The demand for analysis that will stand up in court is present and increasing. Tools will not solve the problem alone – we need forward thinking analysts who can work in a variety of disciplines, write their own tools, and go beyond existing techniques. Why? The key is in the final ‘S’ in uSAS. They are small unmanned aerial systems, these are entire networks with multiple operating systems in flight and spread across miles of terrain. Let’s take a look at all the components of a popular consumer drone. Each of these components potentially contains evidence relating to the incident you are investigating. The aircraft contains multiple sensors, a flight controller, radio links, a camera, motors, and more. The radio controller is pretty dumb but there are configuration settings stored in it that contribute to understanding the full environment. The laptop was probably used to maintain and configure many of the other components and will likely have artifacts relating to that work, along with the traditional Internet history, email, and messaging that might significant context. Even the battery stores digital artifacts about its history and health. The analyst needs to physically collect and document all of these components, a potentially daunting process given that the components might be separated by time and distance. The type of motor, the custom labels on the radio controller, and the wear and tear on the propellers all tell their own piece of the story and must be correctly documented and analyzed. Once the analyst obtains access to the physical components, they need to gain access to a variety of digital containers, and then analyze digital artifacts that range from firmware to EXIF data in photos to plists, registry settings, and /etc/mount files. A complete analysis of this system will be non-trivial, and a single tool will not give the analyst access to all the relevant information. There are several different flavors of Linux, at least one mobile operating system and at least one standard operating system. There are at least five different file systems, many of which are not recognized by commercial tools. Some artifacts are only accessible via USB and vendor defined protocols. Others require accessing the sUAS’s network and using ssh to connect to the systems. Some systems are running on flash media and maintain no state information after loss of power. To further complicate the situation, each vendor will use a different collection of components, and those components will vary within their product line and new vendors will enter the market monthly. The open nature of the mission planning software and the flight controllers encourages customization. New sensors and new uses for drones will push both the application of drones as well as the legal and social borders around them. The forensic analysis of drones, and the larger cybersecurity landscape around them, will be very complex, very fluid, and very exciting. Stay with us as we explore it in depth.